The idea was a simple one. Put a camera around my dog's neck and start shooting pictures from his point of view. It was a lot of fun and really opened my eyes as a photographer. 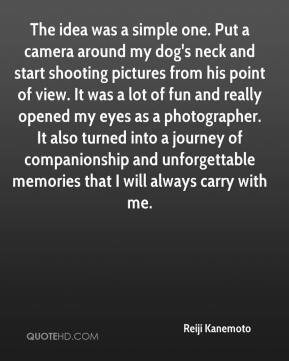 It also turned into a journey of companionship and unforgettable memories that I will always carry with me. 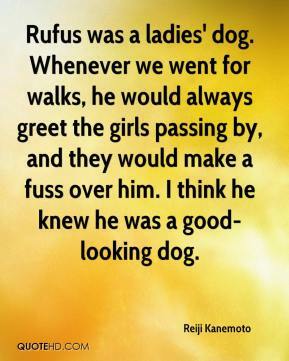 Rufus was a ladies' dog. Whenever we went for walks, he would always greet the girls passing by, and they would make a fuss over him. I think he knew he was a good-looking dog. The one thing he taught me was kindness. He made me realize there are so many abandoned pets like him, living in kennels waiting for their guardians to come back.